I think I see blood near the left tire? Although this seems staged. AND it hit a tree! 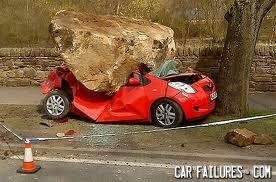 "I told the insurance company that a rock hit the windshield."